Under a thousand people gathered on Friday, June 15, at St. Sabrina's Church to demand an end to gun violence in Chicago during the Road To Change rally. The rally is the start of the national movement for gun reform. 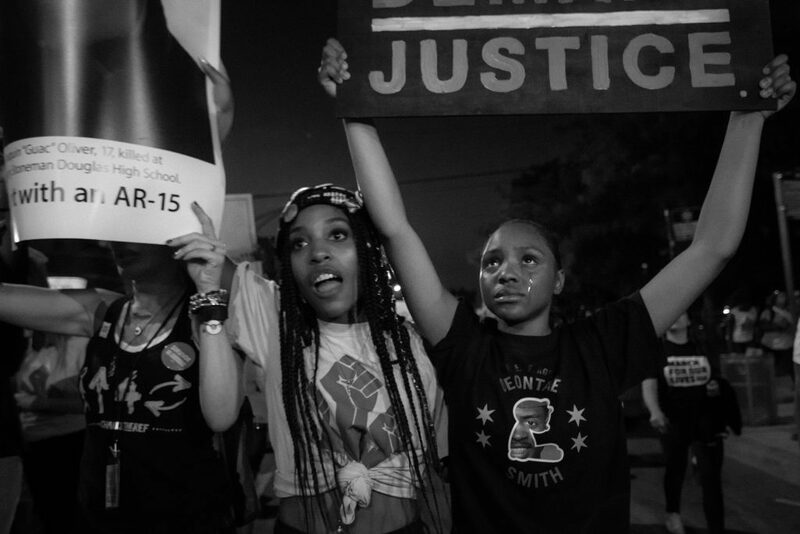 The Peace Warriors of North Lawndale Collage Prep were among other Restorative Justice practitioners and activist from Chicago to demand peace. "There are so many recourse that are not beneficial to our survival." said Alex King of North Lawndale's Peace Warriors, "We need are more mental health and trauma centers in our communities." Hundreds gathered on Friday, June 15, at St. Sabina Parish Catholic Church in Chicago, Illinois to demand an end to gun violence in Chicago during the Road To Change rally. Image: Sebastián Hidalgo for Youth Radio. Anti-gun violence supporters gathered at St. Sabina Parish Catholic Church in Chicago, Illinois to demand gun reform on Friday, June 15 for an annual rally and peace march organized by the church. This year’s event was the kickoff of March For Our Lives’ #RoadToChange, a 50 city tour to get young people registered and motivated to vote. Marjory Stoneman Douglas High School student activists Emma Gonzalez and David Hogg were present along with local Chicago activists and celebrities with whom they shared the spotlight. 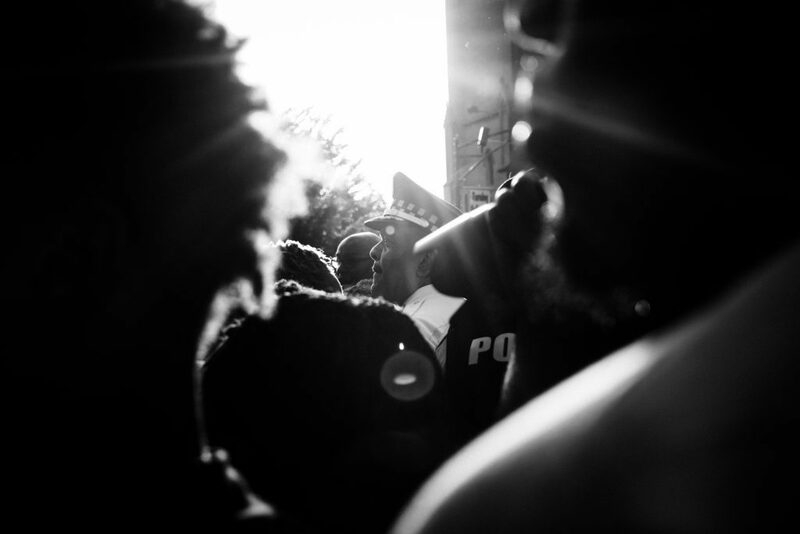 Photojournalist Sebastián Hidalgo captured these scenes from the rally. 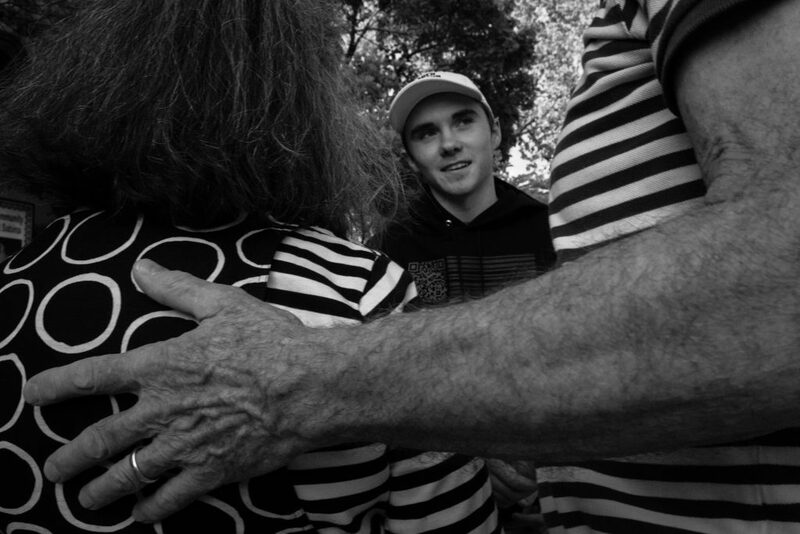 Activist David Hogg. Image: Sebastián Hidalgo for Youth Radio. Activist Emma Gonzalez. Image: Sebastián Hidalgo for Youth Radio. 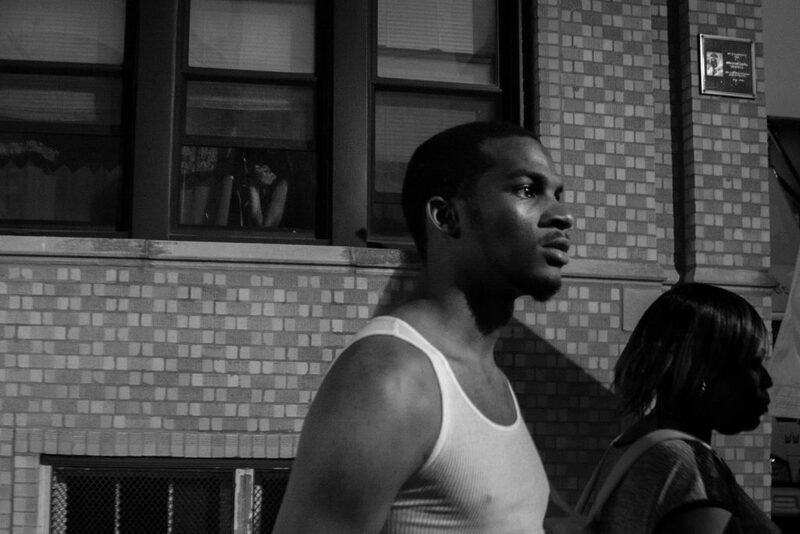 Chicago Police Superintendent Eddie T. Johnson watches youth publicity speak while in the crowd on Friday, June 15, during the Road To Change rally. Image: Sebastián Hidalgo for Youth Radio. Image: Sebastián Hidalgo for Youth Radio. 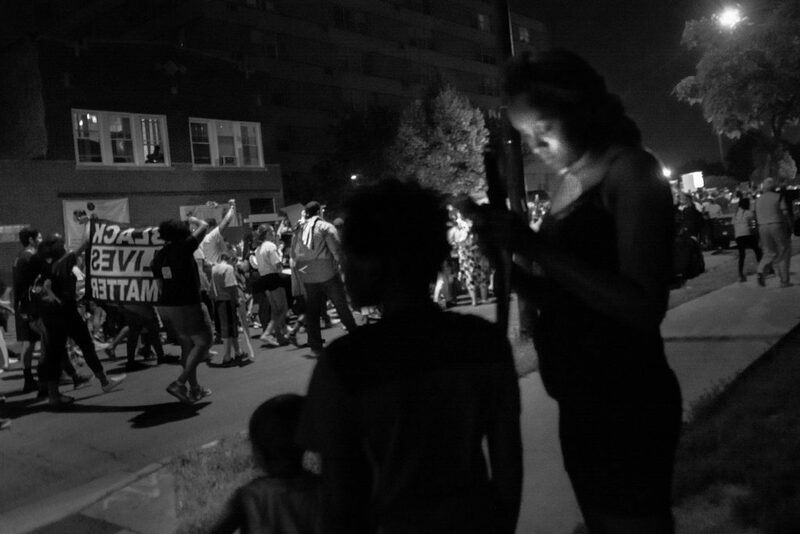 Residents began to peek through their apartment windows as the anti-gun violence supporters began to chant, “Whose streets? 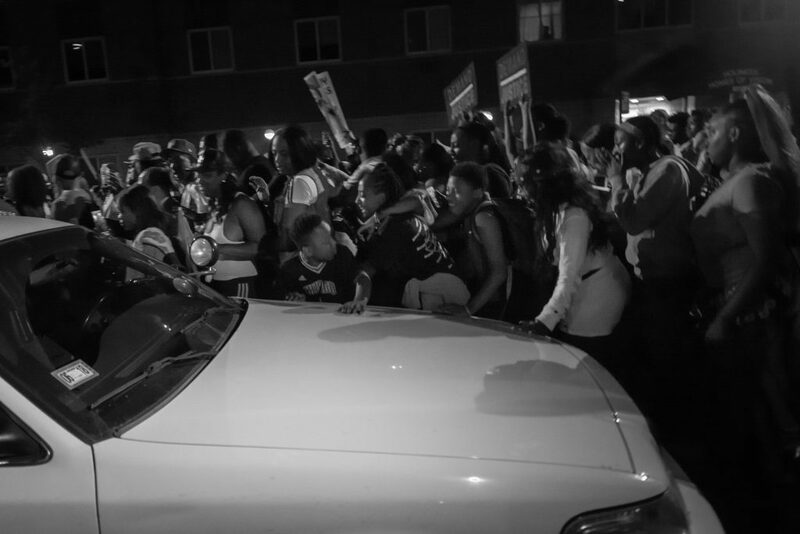 Our Streets!” as the rally moved through Chicago’s South Side neighborhood of Gresham. 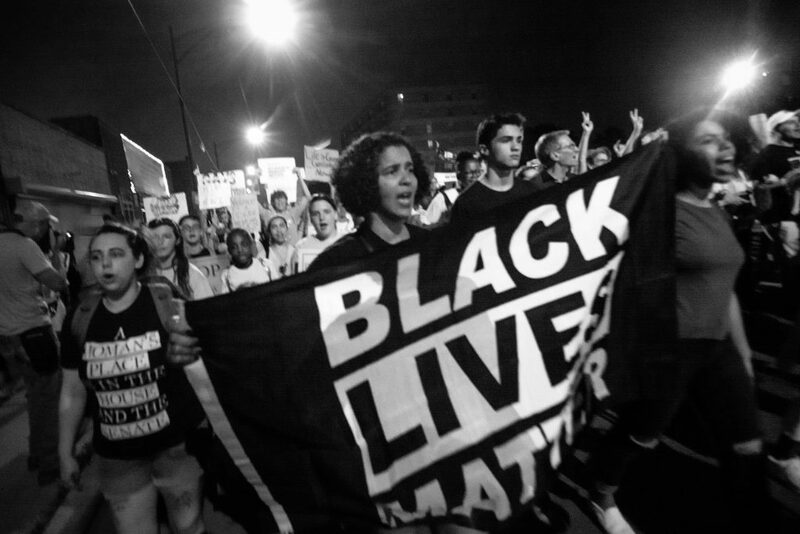 As supporters began to march, the voices of activists chanting, “What do we want? Justice! When do we want it? Now!” and the gentle cheers of children quickly filled the streets. 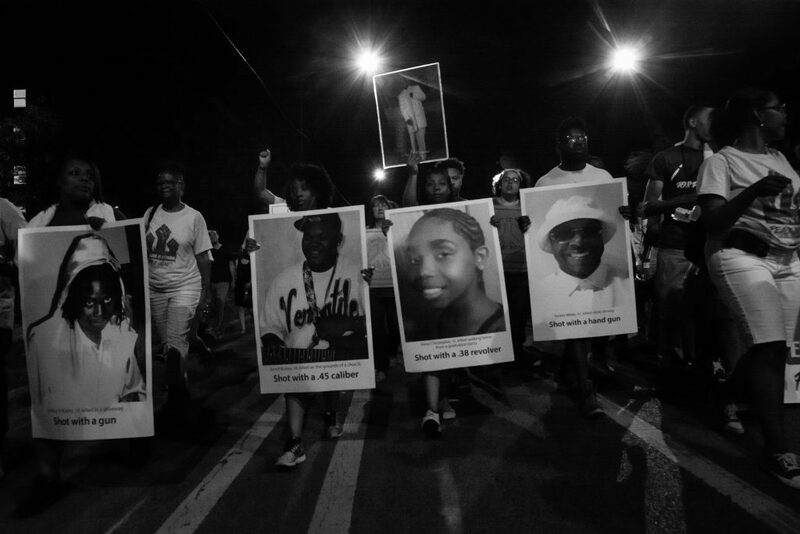 Family members who lose their loved ones to gun violence held portraits of them with details of their murder. 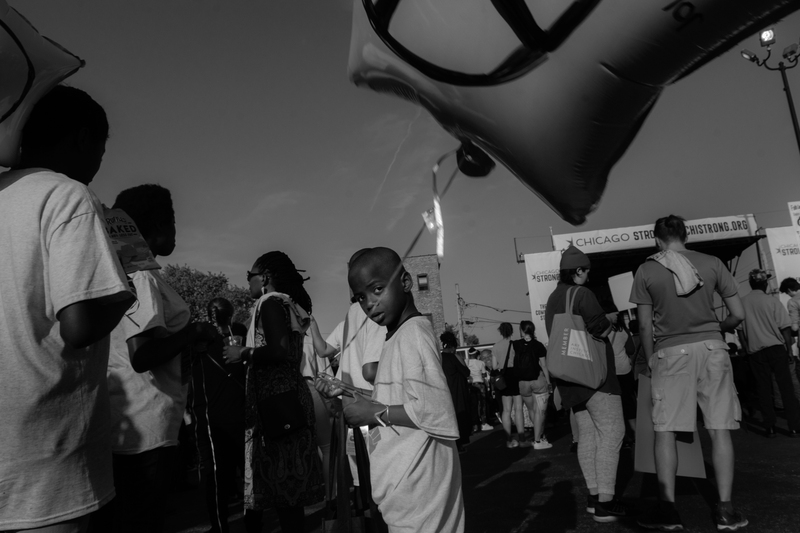 A Black Lives Matter flag is held by gun reform supporters during the Road To Change march and rally on Friday, June 15, in Chicago’s South Side neighborhood of Gresham. Image: Sebastián Hidalgo for Youth Radio. A crowd stumbles on a parked car while others hold banners that read “Demand Justice” and portraits of relatives who lost their lives to gun violence. Image: Sebastián Hidalgo for Youth Radio. 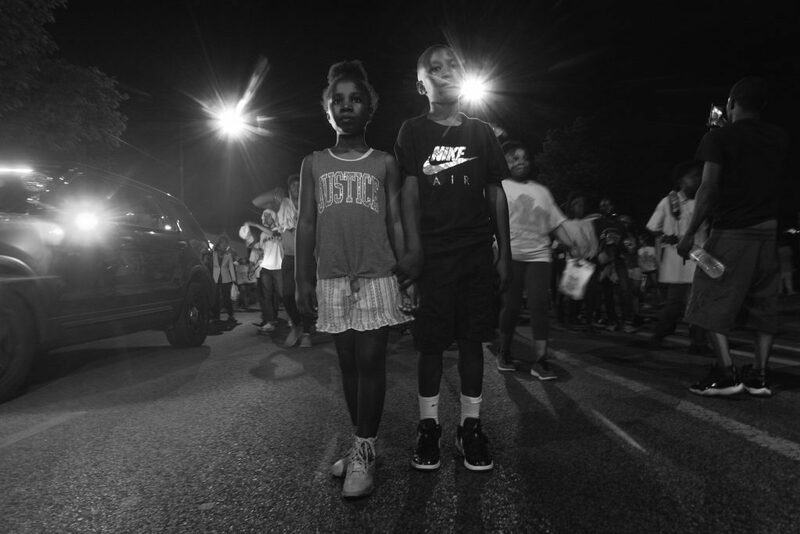 Young siblings stand for a portrait during the Road to Change march on Friday, June 15, in Chicago’s South Side neighborhood of Gresham. Image: Sebastián Hidalgo for Youth Radio.